The #1 Accessory for Personalization! 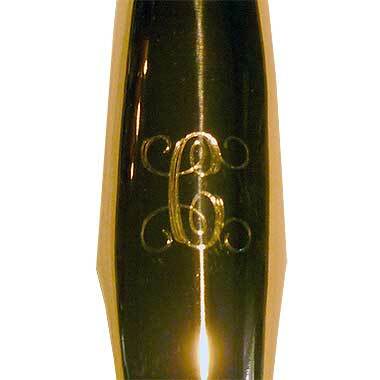 Most popular is to engrave your initials, then on a second line your birth year (or year of the gift). The initials shown above on the left are actually 5/16" and the year is 3/8" in the Block font. The single letter on the right above is using the Big Script font and is appx 1.25" tall. 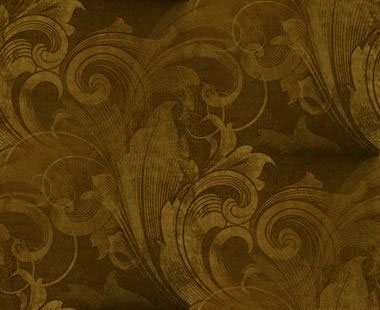 The engraved size may vary accordingly as the device that holds the top during the process will not rotate due to its unusual shape. Want to see the Fonts & Limits? Questions? Pricing is calculated as follows: $10 for setup of first line, $3 for setup of second line (if entered), then $2 per character engraved. Line 1 character(s) typically range from 3/4" down to 5/16" and Line 2 reduced by at least 1/3. 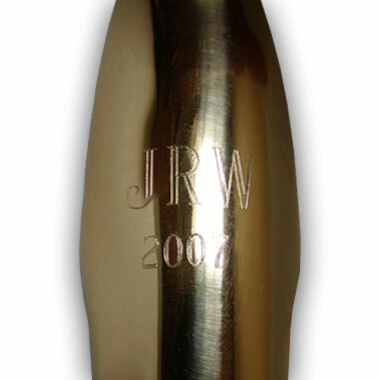 Size of character(s) engraved will be adjusted by engraver for best fit based upon number of characters and line(s). The more letters the engraving consists of the smaller the letters will be overall.